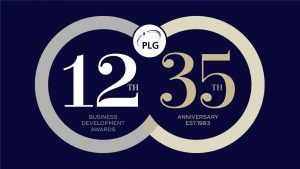 The 12th PLG Business Development Awards took place on Thursday 7th February 2019 at the home of the Royal College of General Practitioners, 30 Euston Square in London. To find out who won and to see photos from the event, including the winners collecting their awards, please visit the Awards section of the website. We have been the leading networking group for professionals actively involved in business development and licensing across the healthcare industry since our formation in 1984. Our membership has representatives from all sectors of the industry including pharmaceuticals, generics, biotechnology, OTC , NGOs and academia and our European-wide PLG group database, provides access to over 2,000 business development & licensing contacts. All our members are specifically involved in business development, licensing, alliance management and technology transfer. This provides an ideal environment for the sharing of best practice and building relationships with potential partners. To support this we run regular events, including international conferences, our annual Business Development & Licensing Awards and a number of free workshops and networking evenings. These are themed to share the latest developments which could impact on transactions in the healthcare sector. The PLG is proud to have gained a reputation for providing high quality education and professional development. As well as the events we hold membership includes subscription to the Business Development & Licensing journal, a peer-reviewed journal which focussed on current key issues impacting the healthcare sector. We also offer a comprehensive range of training courses designed and delivered by industry experts in their specialised area. These cover many stages of professional development; from the Introduction to Healthcare Business Development and Early Stage Healthcare Business Development courses, to the distance learning modular MSc in Business Development and Licensing, supported by the University of Manchester. The PLG is run by a board of elected members with extensive experience in identifying opportunities, conducting negotiations and closing deals across the healthcare sector. Their aim is ensuring the interests of all members are at the heart of all our activities and ultimately to enable better deal making. Our vision is that this will help drive the industry and enable it to improve the lives of patients through finding solutions to the challenging healthcare problems of today. Subscription to the Journal is included in the PLG Membership. It was a thoroughly enjoyable evening and thank you to you everyone involved in the programme. I met a few people who I hadn't seen in literally years and made some new contacts. I hope I can attend many more!